Field study courses can be tailored to your individual needs. To help you with your planning, we have provided a link to our most popular and successful geography fieldwork studies. Field studies support the Crowded Coasts, Extreme Weather and Rebranding Places units of the new Edexcel Geography GCE examination. Crowded Coasts fieldwork options include coping with pressure, increasing risks and coastal management. Rebranding Places field studies cover both urban and rural rebranding strategies and management. Our Geography Weblog provides a forum for questioning, investigation and critical thinking about topical issues affecting the world and people’s lives. Enter your post and start blogging! Barcelona Field Studies Centre offers fully inclusive Geography, Biology, Ecology, Environmental and Tourism field study courses to U.K. and International schools and colleges throughout the year in an outstanding geographical environment. 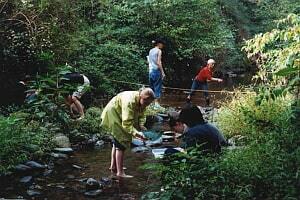 The Barcelona area offers a range of settings for geography fieldwork unrivalled in Europe. The city of Barcelona presents a fascinating case study of many of the major themes of urban growth and development. Field studies in the unspoiled National Parks that surround the city include coastal management, river processes, dune ecosystems, limestone and volcanic landscapes. Field study options include pressures on the coast when development and conservation meet head on. The coastal wetlands and dunes at Platja Llarga, Vilanova and Muntanyans II at Torredembarra have both seen planning applications for urban development strongly opposed.